The artist book is a universe in a contained package that can incorporate all that I've explored during my lifelong career as an artist -- fine arts, design, illustration, photography, hand papermaking, textiles and patterning, historical research, and a way to teach by sharing information. 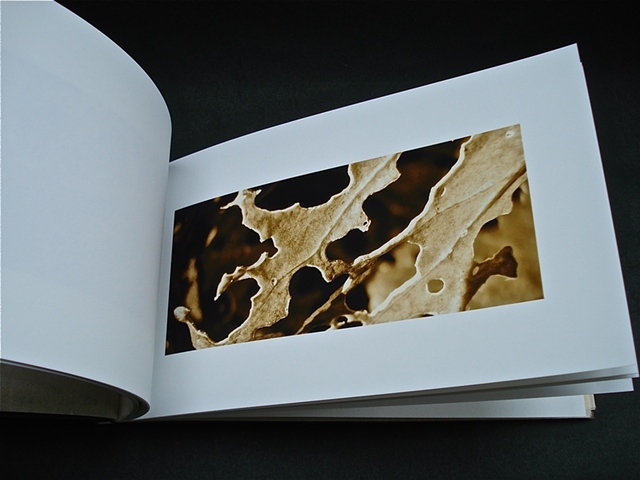 The book can be both intimate (hand held), and/or public (exhibition). It can be created in a confined space, but open up whole new worlds. My interest in Eastern thought (Buddhism and Taoism) and twenty year practice of tai chi has led me to create work that involves a slow, meditative process that visually records accumulated moments of time. Whether it is stitching a circle in a square, or photographing seasonal change, I'm interested in capturing the patterns that occur in the NOW. Stopping time to study form is in part how I establish a sense of place.